« Day 225 in Beijing: Uh, Does This Really Need To Be Stated? Day 226 in Beijing: BEAT IT! 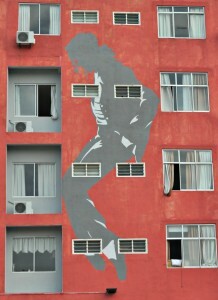 Michael Jackson lives in Melaka, Malaysia. 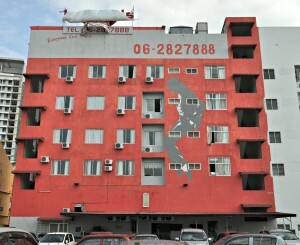 Jill and I were walking around the historic city of Melaka, Malaysia and noticed this bright red hotel. 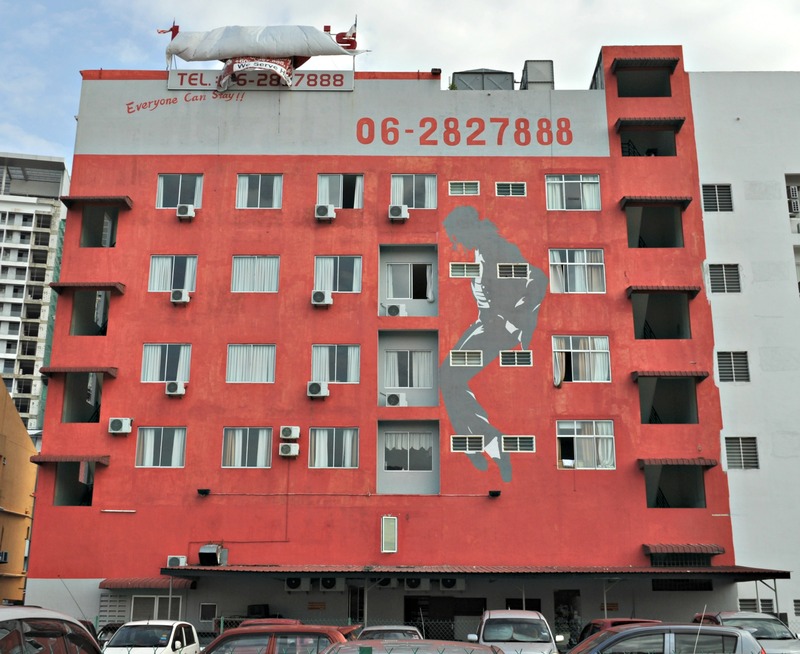 Actually, we noticed the figure painted onto the bright red hotel. 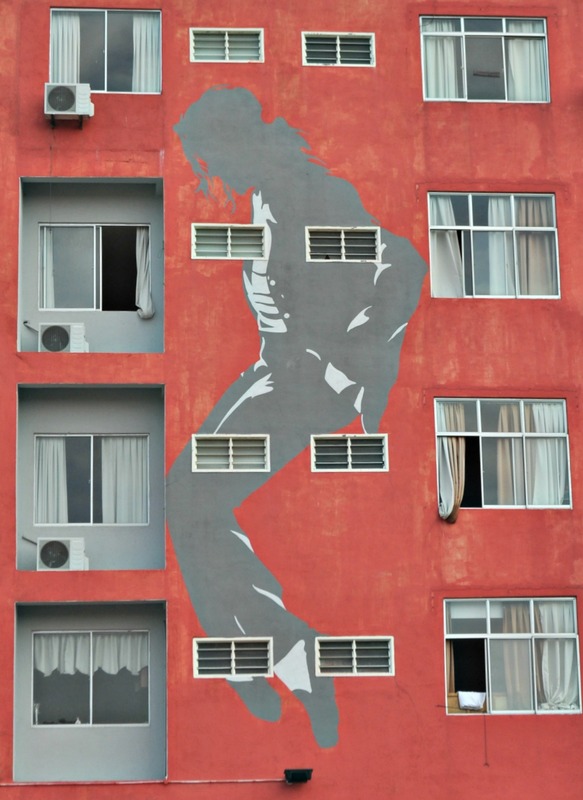 We have no idea why Michael Jackson was painted on this hotel and we couldn’t find any information after googling it. All I can say is that it seemed to have seen better days and looked as if it was closed or maybe that people were living in it but that the upkeep was, how can I say nicely, substandard. The advertisement in the upper left corner is from AirAsia, who we used to fly down to Malaysia and back to Beijing, but there doesn’t seem to be any connection from what we could search for and find out. Michael just seems to be hanging out, doing his last dance move in Malaysia, and biding his time until someone comes by. It all seemed sort of sad to me.